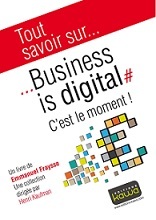 The master copy of this book was published in French in March 2013: “Business is Digital, c’est le moment!”. 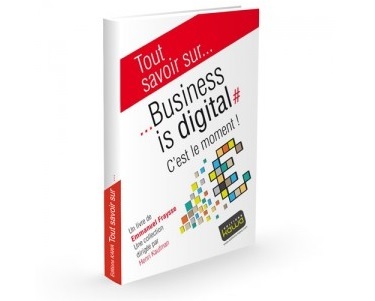 The book was very favorably received by digital experts. Time came to globalize and localize the book at the same time. Why this project? The world is flat for connected people. Thus, this project aims at benefiting from this global context… with a local approach! The “glocal” approach is not brand new but, thanks to new technologies democratization, it has scaled up. During the last year, I experienced this “glocal momentum” and travelled on 5 continents: South America, Asia, North America, Africa and Europe where I live (France). I was amazed by the game changing spirit of awesome people I met. 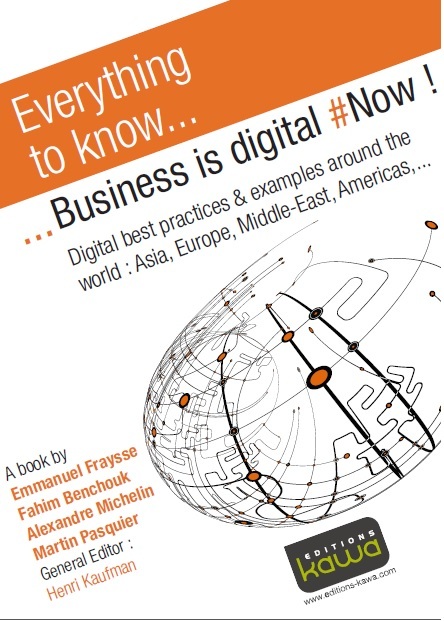 Digitization is a lever for disruption and nothing will be as usual as before… ever! Among incredible people I met : Martin Pasquier (he lives in Singapore but I met him in Austin, Texas, US, during the “South By Southwest” Interactive Festival), Frédéric Josué (met in Paris and in Austin), Liva Judic (met in Austin, but living in Berlin & London), Alexandrine Brami (Sao Paolo, Brazil), Erwan Macé (Singapore, #SprayForever). Even if software is eating the world and knowing that the US are at the forefront of the digital & software (r)evolution, I decided to focus on other continents. Among them: Middle-East and Asia where the digital disruption is in progress. We made It real. Enjoy!